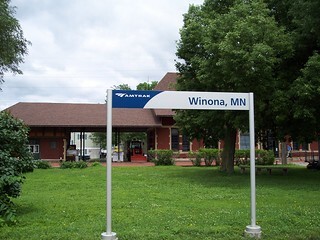 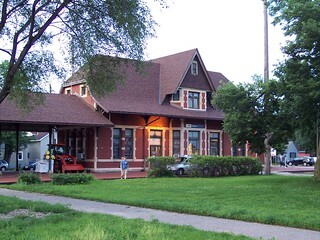 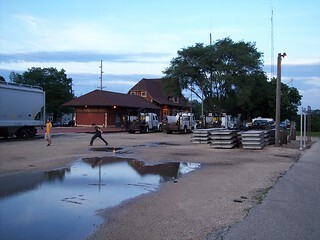 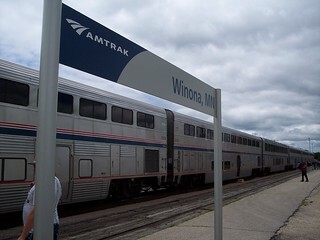 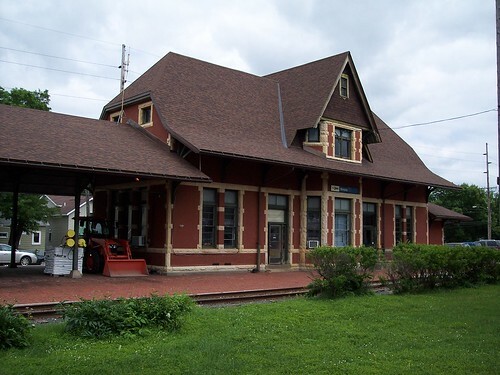 The Winona station building sits well back from the tracks used by the Empire Builder. 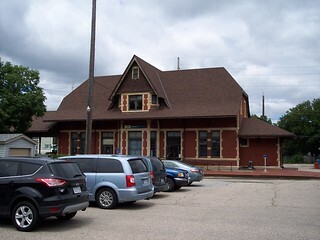 This is still the track side of the station. 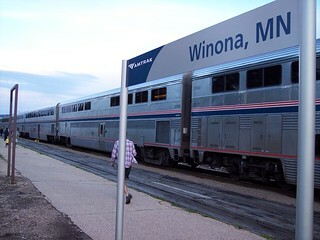 I didn't get any pictures of the street side for fear that the train would leave without me. 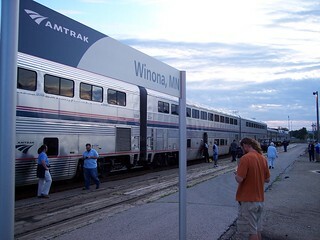 The Empire Builder waits at the platform.